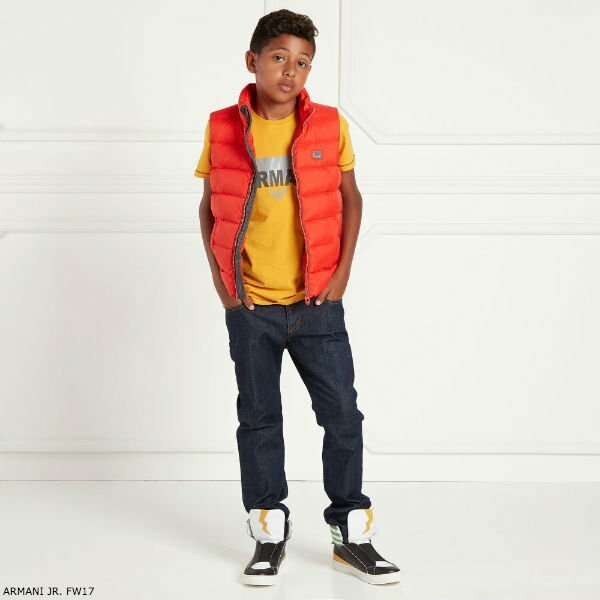 Love this super cool streetwear look for boy this Fall Winter 2017-18 season featuring this Boys Orange Down Padded Vest. Designed in a bold fiery orange, this sleeveless jacket by Armani Junior will brighten up any boy's day, and keep him warm and cosy. 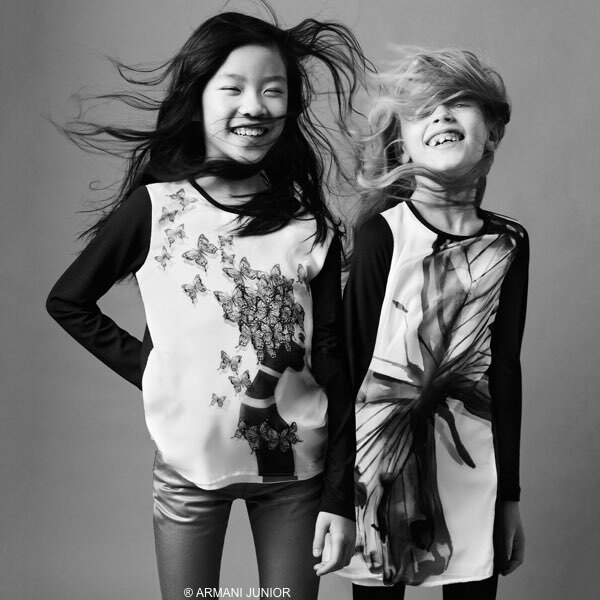 Looks perfect with this ARMANI JUNIOR Yellow Logo T-Shirt and ARMANI JUNIOR Boys Blue 'Regular Fit' Jeans. Complete the look with a pair of super stylish FENDI Boys Monster High-Top Trainers.